Join Harper's Magazine and Book Culture on Columbus for a discussion with authors Emily Bernard and Mychal Denzel Smith, moderated by Harper’s senior editor Rachel Poser. Mychal Denzel Smith is the author of the New York Times bestseller Invisible Man, Got the Whole World Watching (2016) and the forthcoming Stakes Is High (2020). His essay, "The Gatekeepers," was published in the December 2018 issue of Harper's Magazine. He has appeared on The Daily Show, PBS Newshour, Democracy NOW!, MSNBC, CNN, NPR, and other national and local radio and television programs. He is featured in and was a consulting producer for “Rest in Power: The Trayvon Martin Story,” the Paramount Network docuseries executive produced by Jay-Z. In 2014 and 2016, TheRoot.com named him one of the 100 Most Influential African-Americans in their annual The Root 100 list. He was also a 2017 NAACP Image Award Nominee. 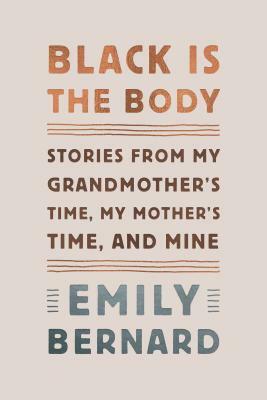 Emily Bernard is the author of Black is the Body—excerpted in the December 2018 issue of Harper’s Magazine— an extraordinary, exquisitely written memoir (of sorts) that looks at race in a fearless, penetrating, honest, true way. In twelve connected, deeply personal essays Bernard explores the complexities and paradoxes, the haunting memories and ambushing realities of growing up black in the South with a family name inherited from a white man, of getting a PhD from Yale, of marrying a white man from the North, of adopting two babies from Ethiopia, of teaching at a white college and living in America's New England today.